The answer depends on which phone carrier your contact has and, to a lesser extent, which plan they have (some carriers have special plans that decrease the per-minute rate to satellite phones). Another thing to keep in mind is that a lot of carriers automatically block calls going to satellite phones. If your contacts aren’t able to successfully call or text your satellite phone, check with their carriers to see if they’ve got calls to satellite phones automatically disabled. We are located here in the US. The following list goes through the major cell carriers in the United States. The information here is current as of February, 2014. If you have questions or concerns about specific rates for your carrier, please contact your carrier directly. Although we weren’t able to find any confirmation of this online, we have heard from customers that AT&T often automatically blocks outgoing calls to satellite phones. These customers were able to find a solution so that their family and friends could call their satellite phone by having their family call AT&T and lift the automatic block. AT&T has a “World Connect” program that costs $5 a month that will get you slightly lower rates. You can see the full list of AT&T rates to satellite phones here. From an AT&T phone to an Iridium Satellite Phone: $4.50 per minute. From an AT&T phone to an Inmarsat Satellite Phone: $11.49 per minute. From an AT&T phone to a Thuraya Satellite Phone: $11.49 per minute. Verizon does not make it easy to find their rates for calling a satellite phone. That being said, once we were able to get a hold of someone (very nice guy in the customer care department named Bob), they had some of the lowest rates to satellite phones of all the major carriers. It wasn’t clear to me if Verizon offers monthly postpaid rates (like AT&T and T-Mobile) to decrease the per-minute charge for calls to satellite phones. You may need to check with Verizon concerning your specific plan (plan on being on hold for a bit). From a Verizon phone to an Iridium Satellite Phone: $6.00 per minute. From a Verizon phone to a Globalstar Satellite Phone: $6.00 per minute. From a Verizon phone to an Inmarsat Satellite Phone: $9.00 per minute. T-Mobile has their satellite phone rates on their site, but they are a bit hard to find. You can check T-Mobile rates to satellite phones here. Type in “Satellite: International Networks” into the search box. Oddly enough, T-Mobile doesn’t differentiate by carrier, but by location. Like AT&T, T-Mobile has monthly postpaid plans that will lower your per-minute rate. That being said, they still have the most expensive per-minute rates to call a satellite phone. If you pay $10 a month as a postpaid “discount” plan, those rates comes down to $10.39 per minute. Sprint also has rate information available on its website. To find the Sprint rates to call a satellite phone click here. Sprint also has some sort of plan called the “International Long Distance Plan” where you get a slight reduction in per-minute calling, but it is, for most of the rates, a difference of between $1.00 – $0.05. From a Sprint phone to an Iridium Satellite Phone: $9.99 per minute. From a Sprint phone to an Inmarsat Satellite Phone: $9.99 per minute. From a Sprint phone to any other satellite phone or extra-international area code: $9.99 a minute. 871, 874, and 873 – Former Regional Inmarsat numbers, discontinued in 2008. They represent Ocean Atlantic East, Ocean Atlantic West, and Indian Ocean, respectively. 882 and 883 – called “International Networks” these are any numbers fall into a catch-all for all numbers that do not have a specific country code associated with them. While not all of these are for satellite numbers, they do have satellite rates assigned to them. 878 – UPT (Universal Personal Telecommunications) number. All these numbers making your head spin? For more information about the specific plans and rates offered by the carriers, you will need to contact them directly. 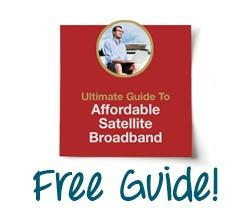 We can help with any questions you have regarding satellite airtime, so feel free to get in contact with us. We’re here to help!